If anchored in Florida, this pipeline would be 1,200 miles long. But probably it would come from Texas – an oil-producing state – in which case the pipeline would be over 2,000 miles long. 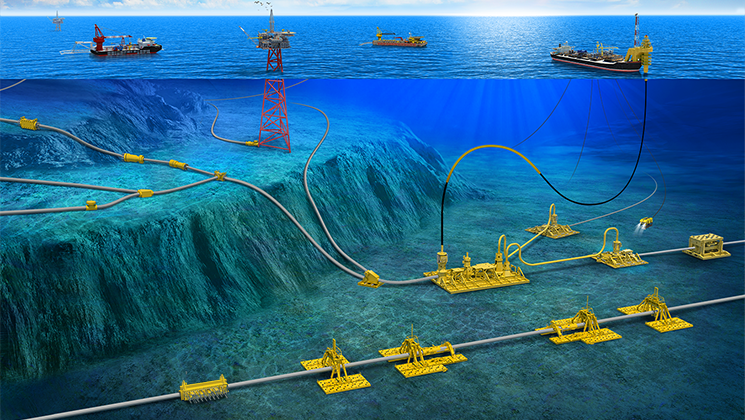 In either event, this would be the longest undersea gas pipeline in the world. It is not clear how this would solve the energy needs of Puerto Rico. If anything, it would make Puerto Rico completely dependent on the US…more dependent than any time in its history. Currently, the longest undersea gas pipeline in the world is the Nord Stream Pipeline (NSP) between Russia and Germany. The NSP is 759 miles long and cost 14.8 billion euros, or roughly 15 billion dollars. Ricky’s pipeline would be 250% longer than the NSP, and the approximate cost would be over $60 billion. Since the government of Puerto Rico is bankrupt, a foreign corporation would build and own the pipeline, and the gas would come from somewhere in the US. This is how the new governor would “lift” his island’s economy: not with solar, wind, or hydro power developed in Puerto Rico…but with a 2,000-mile gas pipeline from the United States. A long-tem obligation to accept the liquid natural gas, for several decades, would be required from the government of Puerto Rico. The governor who brokers this obligation – i.e. Ricky Roselló – would be in a position to make himself and his family fabulously wealthy. In effect, the Roselló family would live off the pipeline profits…for many generations to come. The following video clip shows a TV news interview, where Ricky Roselló discusses his “pipeline” idea. The last ten seconds of this clip provide a stunning and accurate assessment of Ricky’s idea. The State of Oklahoma is the “Pipeline Cross Road of the World”, and its also getting many Earthquakes. The scientists have confirmed that “Fracking” is the caused of the Earthquake in Oklahoma. The methods of Fracking destroy the environment, for it’s one of the dirtiest way to acquired oil. We must begin, as a people to move away form Gas and Oil. For our children’s future and grand children we must move away from it. “Solar, wind, or hydro power!!!! Everything needed to sustain life. Sep 18, 2016 – Across America, US – Emergency orders have been declared in at least six states following a pipeline spill in Alabama. Sep 16, 2016 – CNNMoney Investigates · Your Money, Your Vote · American Opportunity · 5 Stunning Stats · Growing India … East Coast faces gas shortages, price hikes after pipeline leak … 9 after a spill of roughly 250,000 gallons was discovered in rural Shelby County, Ala. … Daily newsletter, Sunday through Friday. Sep 15, 2016 – At least 250000 gallons of gasoline have spilled following a pipeline rupture in … been sent to the area and are working around the clock to locate the leak’s … You Know About The Five Costly Mistakes That Americans Make! For 10,000 years the population of the island of Tasmania lived in complete isolation from the rest of humanity. In 1803 the government of Britain began to settle Australia with criminals. 73 years later the last Tasmanian died. This completed the total annihilation of the residents of Tasmania 6,000 in total, by the Australian settlers. 6.Sep 15, 2016 – At least 250000 gallons of gasoline have spilled following a pipeline rupture in … been sent to the area and are working around the clock to locate the leak’s … You Know About The Five Costly Mistakes That Americans Make! Cuba y Puerto Rico: un abrazo musical salsero. Cuba y Puerto Rico navegan por el mar de los ritmos y melodías de sus pueblos desde siempre, bailan, gozan y liberan el espíritu guarachero de sus rumbas, tambores que laten en almas gemelas, Cuba tiene su Son, Borinquén su Plena, y en cuerpo y alma comparten la Salsa musical, esa que surge e identifica a todos los Latinos, mezcla y remezcla, transculturación y fusión de todos los sentimientos confluyentes en esa “Manzana” ciudad, ya no hay diferencias desde entonces, pantalones campanas, camisas de flores y arabescos ajustados al cuerpo, exagerados pelos y patillas al rostro, pero sobre todo movimiento, mucho movimiento y las voces destacadas de los solistas cantantes y sus coros sabrosones, hasta ahora los dioses solo saben que sonvoces de ángeles, entre todos esos un Midas de la salsa, ese que todo lo que toca lo convierte en oro con su piano, Don Isidro Infante. Ahora con un junte de hermanos cantantes cubanos y músicos borinqueños, se recrean con natural hermandad, los antológicos temas, del cofre musical Salsero, que guarda innumerables éxitos, traídos a la actualidad, el sabor de siempre, los arreglos musicales admirados y queridos por generaciones y sobre todo el mensaje de hermandad, lo extraordinario: tender, una vez más, un puente de ritmos y melodías, que le echan Salsa a los pies del bailador y el virtuosismo de sus participantes felicidad a nuestros sentidos, entonces Cuba y Puerto Rico o Puerto Rico y Cuba, son almas gemelas en “un abrazo musical Salsero”. She is a Native American of the White Reservation in North Minnesota. They have been fighting The Sandpiper Oil Pipeline. This Pipeline is to go through their lakes and Reservation. In the White Reservation they grow Wild Rice, natives to the Americans. This Pipeline can destroyed this delicate eco- system. Not just The Standing Rock Dakota Pipeline. For what I understand this is the dirtiest oil acquired through methods that destroyed the environment, like “Fracking”. Unfortunately we are addicted as a people to Oil and Gas, we must begin to move away from this methods for we are slowly destroy the environment. Rico is the ecosystem ha! Good bye world as you knew it! Disaster waiting to happen, why do you even owe USA money with all the wrongs against you all? Besides the glass on the beaches are actually rubies and diamonds-damn fool. Your land is wealthy and usa owes you, you don’t owe them-that pipeline is a disaster-many deaths is the future boom. What is the Problem with Drilling for gas in the Island, Has anyone consider an Idia that it might cost less than to Pollute The Ocean in and around the waters of the Island. They should not let him do this because those things bust and cintaminate everything in site .Totally wrong.ago green .Use other sources if power and not the US .We need to DESTETAR A PUERTO RICO. Ya esta bastantw grande para seguir mamado de esos abusadores.Abajo co el puupet de Ricky. Here we go again with the lets get rich on the backs of the Puerto Rican people. What is it with these PPD and PNP political parties. Once in office they destroy the island millions a time. Today, Puerto Rico has been raped and pillage one governor at a time. First with big pharma and now with inundation of American business taking over everything in site Hotels, Casinos, Walmarts , Home Depots, Fast Food, and the small business is gone. The small business today in Puerto Rico is a distant memory. The only thing left is El Negocio and soon they will own that too. This is complete and utter craziness. Not only is the island now in a downward spiral. Roselle wants to finish off Puerto Rico’s possible recovery into further disarray. What is stopping Puerto Rico from becoming self-sufficient in its future. Its government like this that’s has crucified the island and it’s people. Futhering Puerto Rico’s debts and dependence on fossil fuels. Heads up to F.B.I. Start wiretapping Ricki Rosello because if you don’t four years from now he will walk out richer like Luis Fortuño did. If he gets away with it, then l will know where you stand as far as the people of Puerto Rico are concerned. The video is no longer available on Facebook. Undersea gas pipeline … WTF? RELLY ? IT FIGURES, THAT THIS –PUPPET GOVERNOR—- WILL PROPOSED SOMETHING THAT WILL BENEFITS HIMSELF AND HIS FAMILY , MORE THAN THE ISLAND.- ANOTHER –GREEDY MONEY CORRUPTED , CHARLATAN . THE BORICUAS , ( MY BROTHERS AND SISTER ) ALWAYS, FALL FOR THE SAME —EMPTY PROMISES OF THE BRAINLESS GREEDY BUFFOONS. THOSE THAT THEIR ONLY PURPOSE IS TO ENRICH THEMSELVES , WHILE LAYING, AND BLEEDING THE LAST –PENNY FROM THE CITIZENS POCKETS. THOSE ARE TRAITORS ! THEY WILL SELL THE ISLAND TO THE BEST BIDDER WHILE PULLING THE WOOL OVER THE CITIZENS EYES. WAKE UP BROTHERS AND SISTERS !